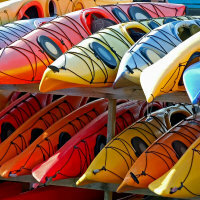 Pretty much everyone who has taken to the water in a Canoe or Kayak to explore their surroundings will have seen the world from a new viewpoint. We have been lucky enough to travel widely both in the UK and Europe with our paddling, day tripping, holidaying and touring. 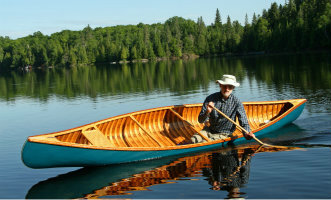 We have also taken the opportunity to seek out paddling options whilst holidaying in Florida, Menorca and Turkey. Here we hope to share with you some of our trips but also to encourage others to record their trips and tours. 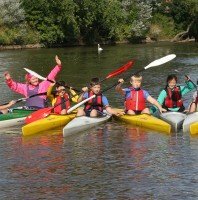 In addition you will find information on canoe and kayak camping and links to organisations that run guided trips and tours. Please help us to build up a good range of options for others to enjoy by sending us details of your favourite routes and recommended guided options. We start off with our exploration of the Everglades by kayak a few years ago. 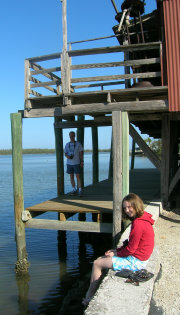 A few years ago when our daughter was about 13 we took a trip to Florida. We started with a week In Orlando visiting Mickey and the roller coasters, we then headed south for the Florida Keys to try our hands at scuba diving and snorkelling but on the way we stopped off in the Everglades. The Everglades is a vast expanse of Mangrove with very little human habitation. We had booked ourselves into the Ivey House Bed & Breakfast one of very few places to stay in the only community of any size, Everglades City. We had also booked ourselves a days kayaking trip with Everglades Adventures. Everglades adventures operates from the Ivey House B&B and we were able to discuss our choice of kayak with our guide whilst the trailer was loaded and boats secured. A short journey to our get in point and we were off with a group of about 6 other paddlers. As experienced paddlers used to being on the water the trip was not about the kayaking but about the scenery and exploring a little off the beaten track. For others in the group kayaks were something new but the pace was gentle with plenty of scenery to take in and plenty to talk about. Our guide was able to point out all sorts of wildlife to us from bald eagle nests to various wading birds along with stories of the history of the mangroves and an explanation of the ecology. No one needed to point out the alligators! There were quite a lot of them mostly lazing a good distance away. We were advised to give them a wide birth and didn't need telling twice. One little alligator no more than about 2 foot long swam busily past us a few feet away and set us twitching looking out for a Mum or Dad but we didn't need to worry as none appeared. We headed out across fairly open water with the alligators lazing along the banks and wove through and around islands with trees where the birds were nesting. We then headed into a series of interconnecting and winding mangrove tunnels, waterways like roads running through the mangrove. This seemed like an easy place to get lost but our guide obviously knew the route extremely well and we popped out onto open water again with grassland around us. We travelled in and out through these various landscapes spotting birds until we arrived at a small patch of ground suitable for a lunch stop. Stories were told and new friends were made before we headed back via a different route to our departure point where the alligators were still lying lazily in the sun. We had a great day out and came away knowing far more about the Mangroves than we had when we set out. A couple from Texas who had been on the trip were also staying at the B&B and we enjoyed getting to know them around the small swimming pool later that day and joined them for breakfast at the sociable communal breakfast the following morning. If you are ever in that direction we would definitely recommend both the Ivey House and Everglades Adventures. 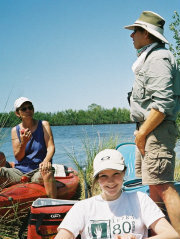 Everglades Adventures do canoe and kayak rental as well as guided tours and will set you up for a camping trip. For the Canoe and Kayak Campers there is a 99 mile route from Flamingo to Everglade City which Everglades Adventure will help you plan. They have sample 5 or 9 day itineraries either by beach or further inland. If you get time also make time to visit the Smallwood Store on Chokoloskee island which is an old store frozen in time serving as a Museum. We arrived before they had opened up in the morning but they opened up for us as quickly as possible and the person running the museum was really great. He told us stories of the traders from way back, slaves hiding in the Mangrove Swamps and showed us some really interesting old ledgers showing people trading alligator skins for provisions etc. Coming soon favourite places to paddle, ours and yours. 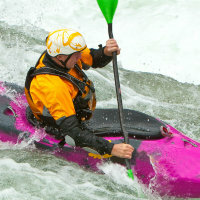 Coming soon links to sea kayaking resources and our own experiences. We've done a couple add your experiences and share with others.